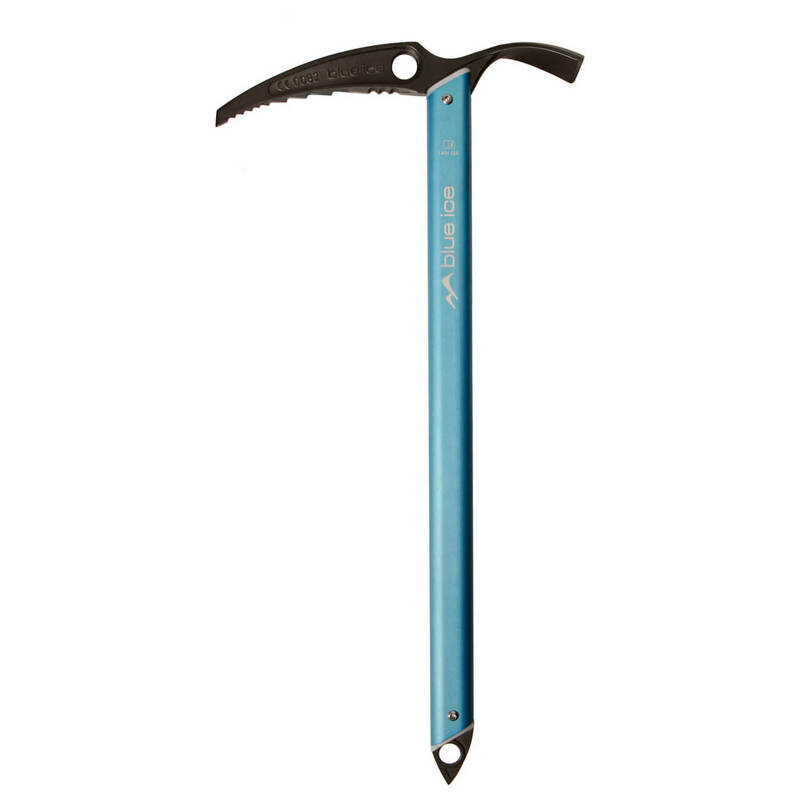 The Bluebird Ice Axe a lightweight ice pick for classic mountain tours und glacier crossings. As per usual, Blue Ice has made yet another quality ice axe from the spike to the pick! The shaft is made of particularly durable, aircraft-grade aluminium and was sandblasted for improved grip. The ice pick is equipped with a hot-forged head and spike and will provide excellent grip in flat and moderately steep ice. The Blue Ice ice axe corresponds to a classic Type 1 axe and is suitable for skiing and glacier crossings. The ergonomic head makes it perfect for use as support as well - ideal for your classic mountaineering adventures!